I have not read book one so I am going to squeeze that in somewhere. 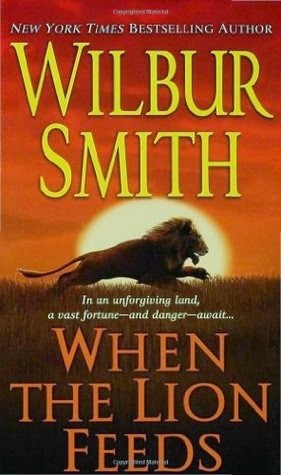 So, I read this after reading book 2 (went backwards). But, this was totally fine and it felt like a big flashback scene. Loved getting a little bit of history about Sophronia and her family and home base. Also got a proper introduction to Soap - my favorite character. The dialogue and banter is the most fun to read in this series. * non-participants are welcome to follow along and win a giveaway prize that will include all three books. I will post the giveaway link on this post when it goes up. 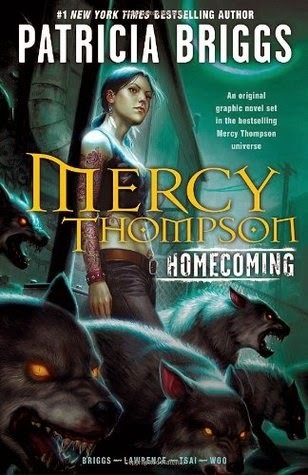 This was a great way to get introduced to Mercy and the Mercy Thompson series. There were brief appearances from the main characters which left me wanting. 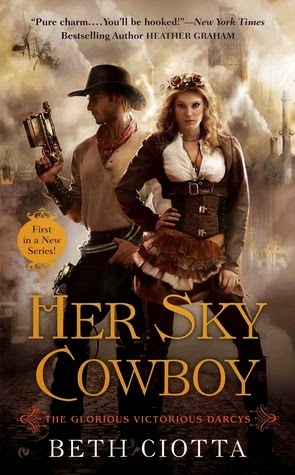 I got just the right amount of action and character descriptions to get me hooked. After reading this graphic novel, I definitely want to go to the book series to read more about this world. The really interesting trait about Mercy is that she does not shift into a werewolf, but another creature. So, I am curious to learn about the special abilities and lore of that particular creature. 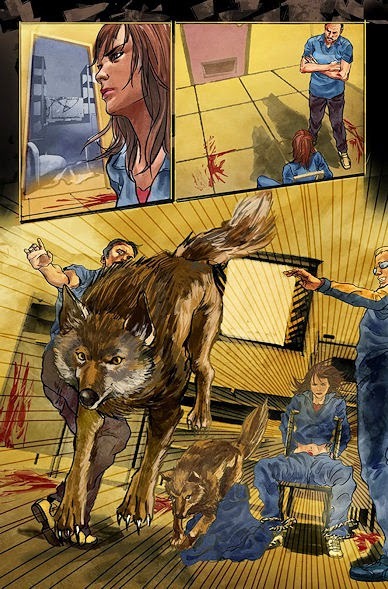 The illustrations were good as well and portrayed actions scenes, especially the shifting scenes really well (see sample comic page below). 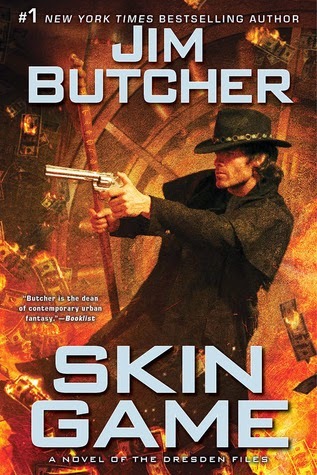 This is a treat to read as a supplement to the tv series. 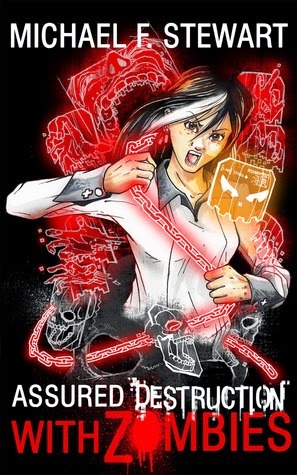 I would recommend watching the series, specifically season one first. Mainly because more descriptions, historical details and background stories are provided in relation to certain episodes in the show and would be more appreciated and understood. I liked journal vibe created with illustrations, photos, newspaper clipping images and etc. along with the text. As a fan of the show, I liked this read. 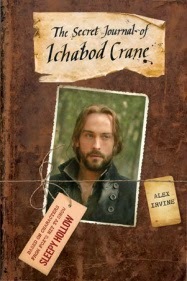 After dying on the battlefield during the Revolutionary War, Ichabod Crane awakes in present-day Sleepy Hollow, New York. 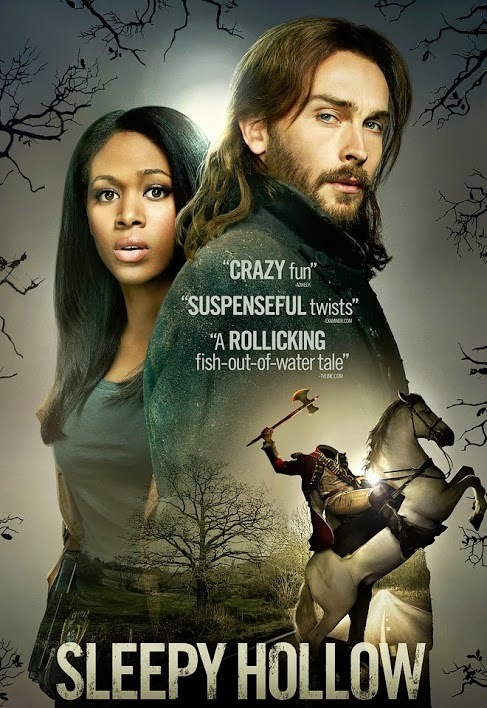 His resurrection is tied to the reappearance of the Headless Horseman, one of the Four Horsemen of the Apocalypse. 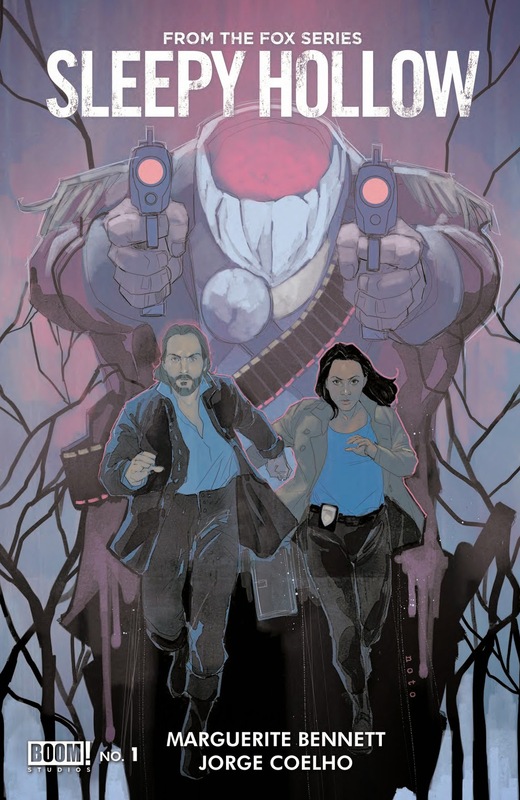 Realizing it is his mission to help stop the end of the world, Ichabod teams with Lt. Abbie Mills to meet each evil threat head on. When minor miracles start to sweep the town, they're glad something good seems to be happening for once. I am currently binge watching the first season on DVD and loving it. Perfect for watching this time of year. 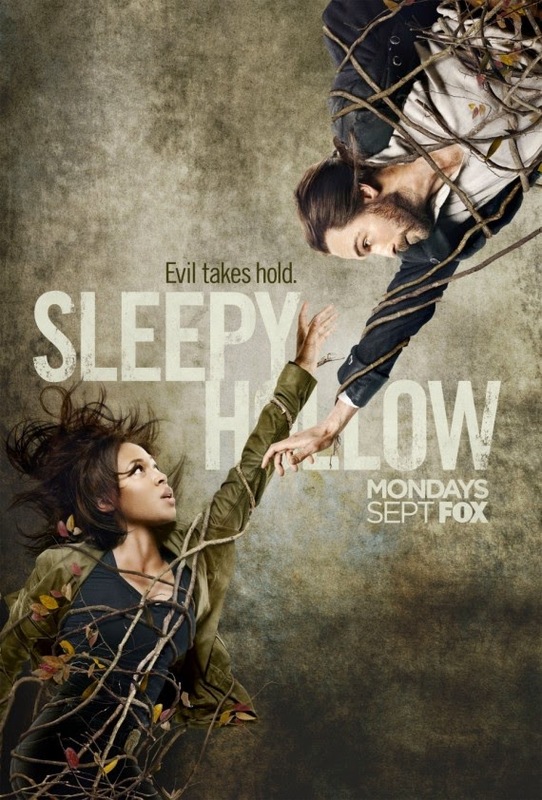 This Season 2 poster has a YA book cover feel to it. I plan on catching up with season two soon. 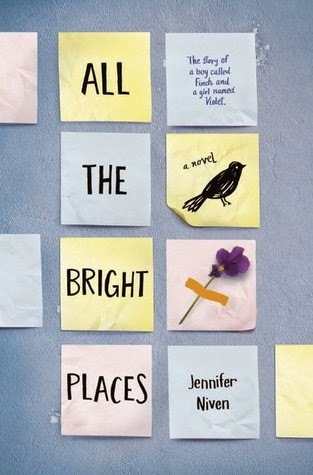 Heart wrenching and tissues-at-hand-required kind of read. Regardless, I really loved how this story pulls at the heart strings. 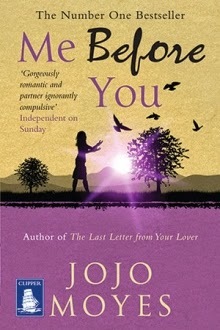 Jojo Moyes creates such imperfect likable characters that make me want to hang out with them all day long. 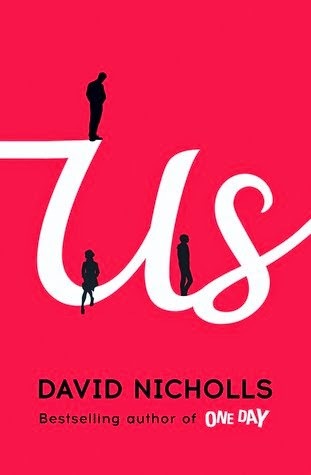 The great mix of humorous and serious scenes of love, life and living make this an entertaining read from start to finish. Got me thinking of how can I change my life to be one that is more fulfilling and joyful. The official site has themed this year as "Snarky Jane". The site will post a different quote every hour here. 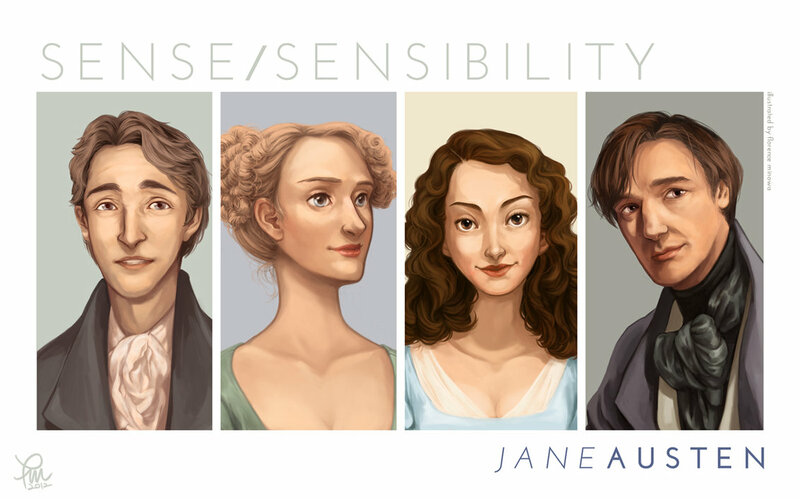 Today I present a couple quotes from Sense and Sensibility by Jane Austen. 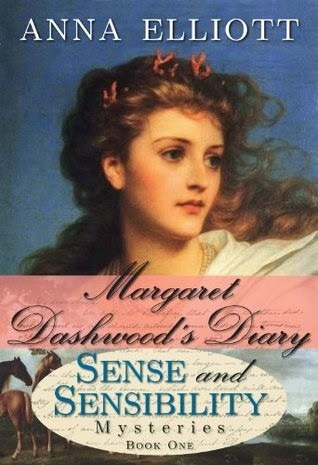 Margaret Dashwood learned from her older sisters—sensible Elinor and romantic Marianne—that the path of true love is rarely easy or smooth. And yet Margaret grew up dreaming of one day finding love and romance of her own. Now, smarting from the pain of a broken engagement, Margaret has traveled to stay with her now-married sisters in order to heal. But life is still far from smooth: John Willoughby, Marianne’s first love, has unexpectedly returned to once again complicate the Dashwood sisters’ lives. Colonel Brandon, Marianne’s husband, has been commissioned to apprehend a ruthless ring of smugglers operating in the neighborhood. And when a mysterious figure from Margaret’s past returns, Margaret realizes that she herself may hold the key to uncovering the smuggling gang. 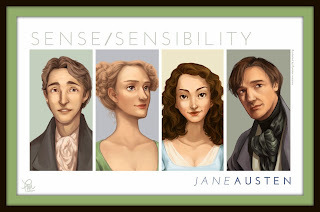 Worse, she comes to suspect that she faces an impossible choice of her own: not between sense and sensibility, but between duty and her own heart. 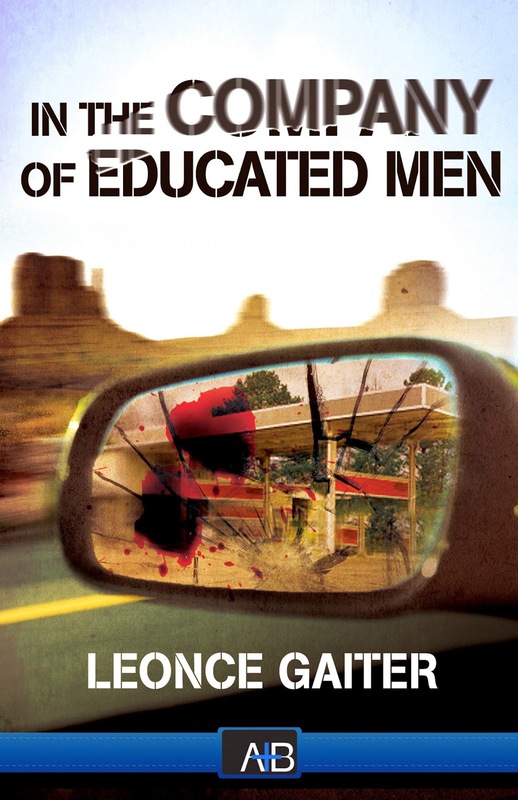 WIN the kindle version of this book. ALSO, leave your email OR make sure I have a way to contact you (twitter link, clickable profile, etc). 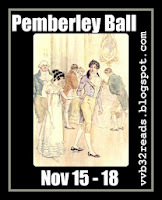 You are invited to another charming Jane Austen event, the Pemberley Ball. More information and to RSVP visit here. I started out reading my ebook review copy, but decided to get a print copy after a couple chapters. My ereader did not display the images properly and I felt that the print copy would enhance the story which it did. 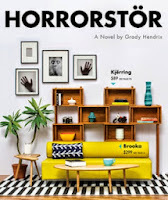 Instead of a scary tale in a haunted mansion, this story takes you into a haunted furniture store not too different than IKEA. 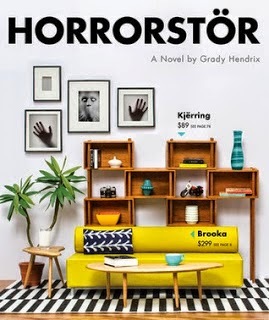 The format of the story was intriguing in that each chapter started out with a page out of furniture catalog. 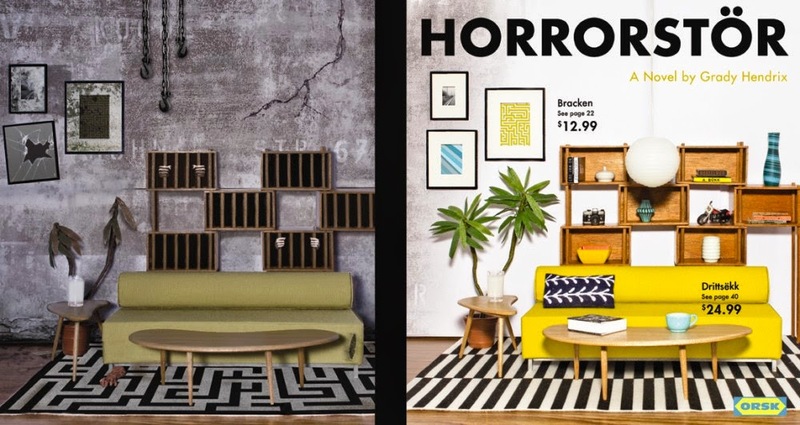 The furniture piece highlighted was incorporated in the chapter in a spooky kind of way. 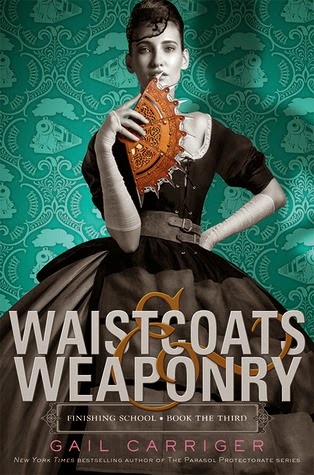 The characters were quirky and fun to follow. I met Zack and Nikki. Sign up for Vi’s mailing list now and get a sneak peek here! I liked how the romance and relationship development between the two main characters, Nikki and Zack, progressed with a lot of dialogue and shared cute moments. Because of their attraction, they pushed through their individual self-conflicts to come together. The story was told in two voices which was effective in sharing both perspectives and inner thoughts. I got a better sense of each character when the story was presented this way. 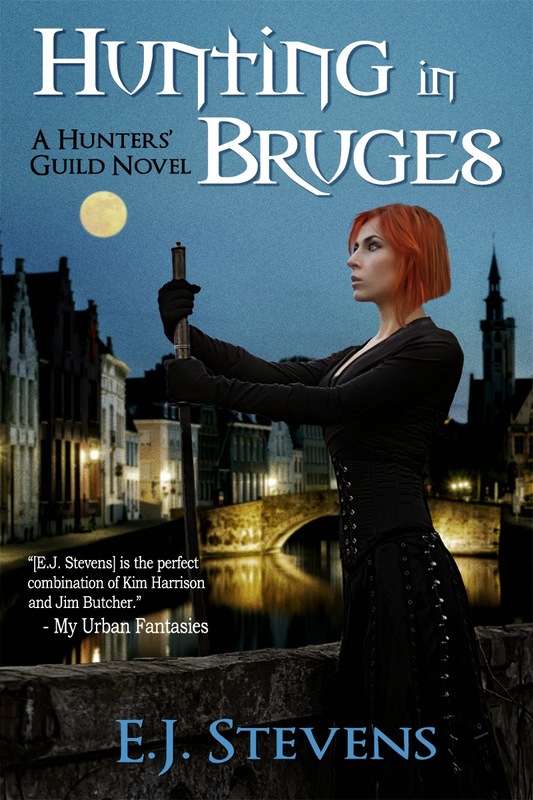 Hunting in Bruges, the first novel in the Hunters' Guild series, is set in Bruges, Belgium and author E.J. Stevens is taking us on a spooky trip to Bruges' Top 10 Spooky Places. Let's see what terrifying places E.J. has planned for our tour. Imagine my surprise when I discovered that there really was something sinister in the city's bloody history. 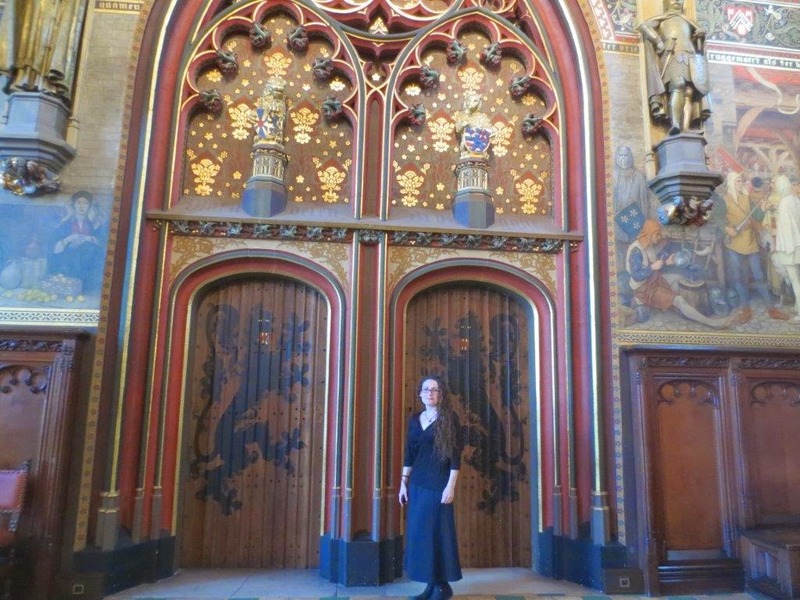 My research into Bruges began in earnest, and last year I completed my book research with a trip to Belgium. The pictures included with this post are from that research trip. These photos are taken during daylight hours, but I can assure you that the atmosphere becomes decidedly spooky when the sun goes down over West Flanders. 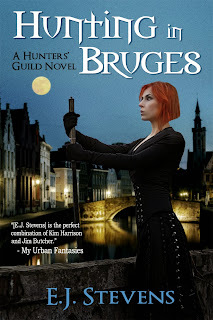 Do ghosts walk the streets of Bruges? Another five notable places to add to any ghost tour of Bruges are the Spookhuis, Retsin's Lucifernum, Belfort, Blind Donkey Alley, and a viewing of Heironymous Bosch's haunting triptych The Last Judgement at the Groeningemuseum. 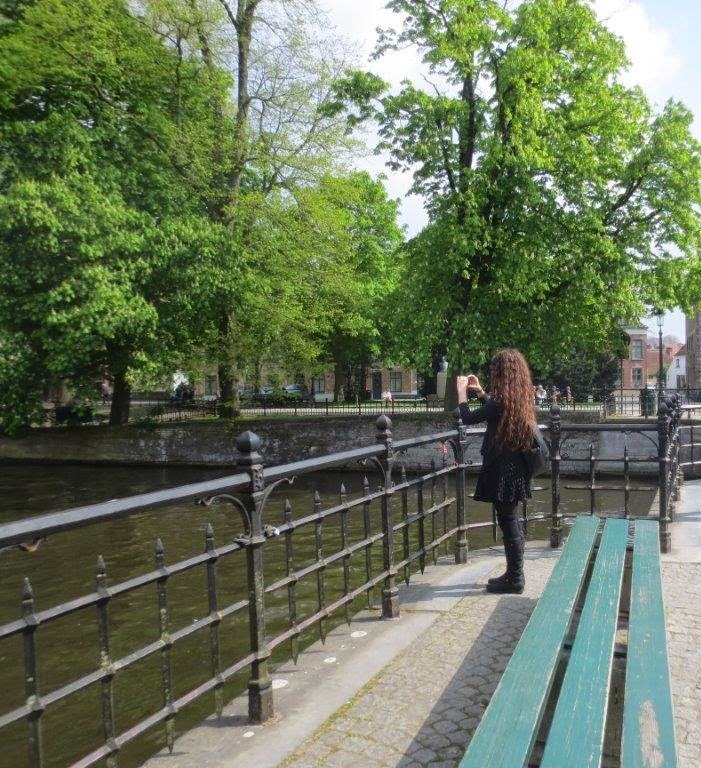 Readers, was this your first visit to Bruges, Belgium? Have you experienced anything supernatural in and around Bruges? 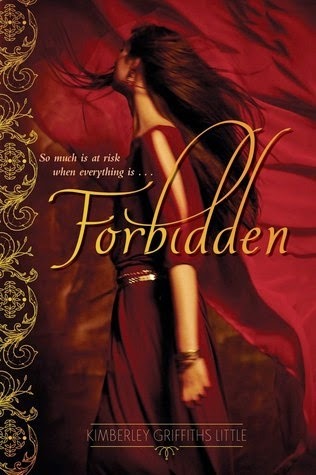 On November 4th, HarperCollins unveils Forbidden, a seductive YA debut from award-winning middle grade author Kimberley Griffiths Little. 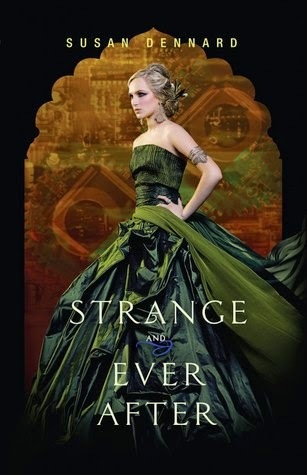 Forbidden transports readers back in time to the deadly deserts and sweltering heat of Ancient Mesopotamia for a tale of danger, duty, and forbidden love. 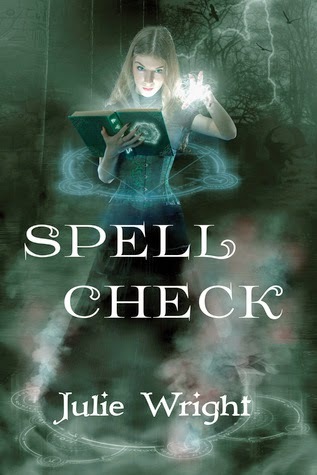 Jayden is on the brink of womanhood and betrothed to her tribe’s prince, cold-hearted Horeb. 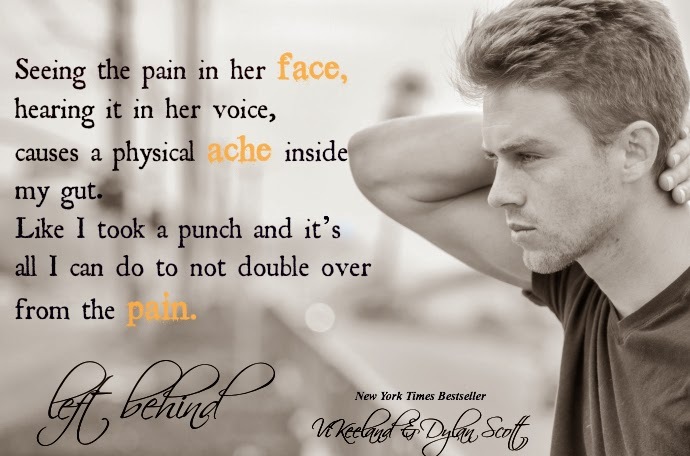 But when tragedy strikes, Jayden meets Kadesh, a mysterious visitor from the south who makes Jayden doubt everything she knows. 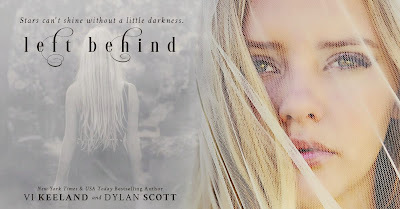 Torn between loyalty to her tribe and the chance to escape her fate, Jayden must make a choice that will change her life forever. 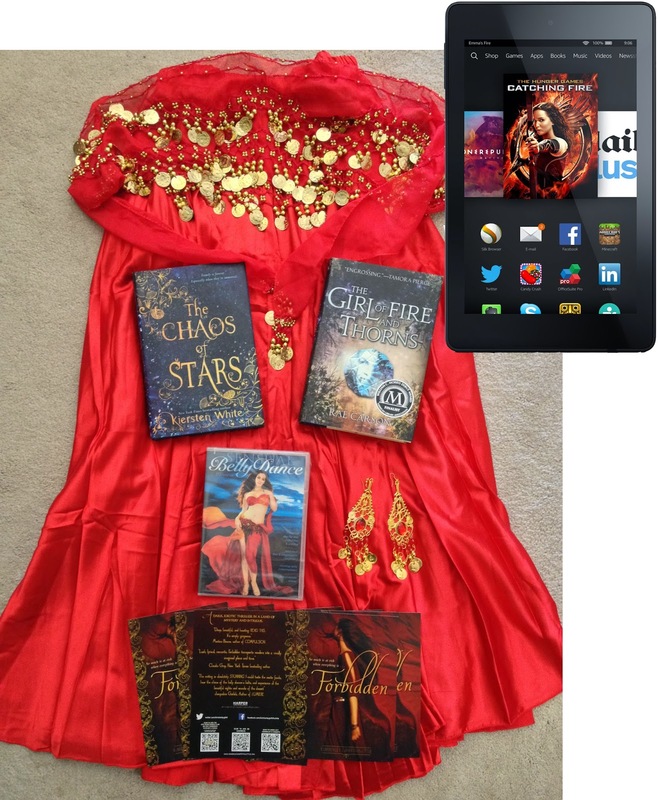 Kimberley is also offering a HUGE preorder giveaway from October 6th to November 4th (release day!) to celebrate. See below for full details on how to enter. The year is 2059. 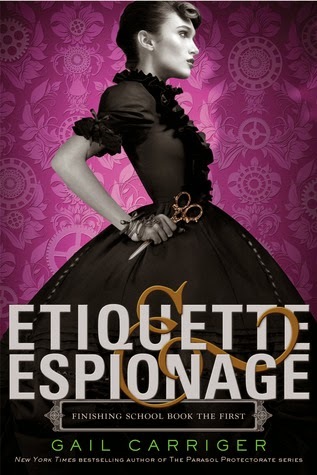 Nineteen-year-old Paige Mahoney is working in the criminal underworld of Scion London, based at Seven Dials, employed by a man named Jaxon Hall. Her job: to scout for information by breaking into people's minds. 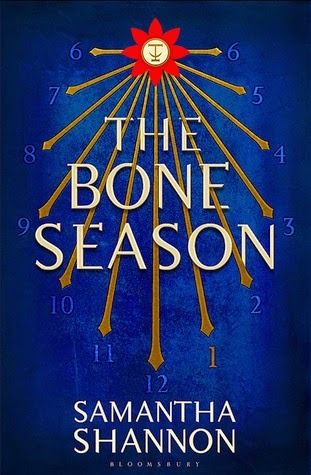 For Paige is a dreamwalker, a clairvoyant and, in the world of Scion, she commits treason simply by breathing. It is raining the day her life changes for ever. 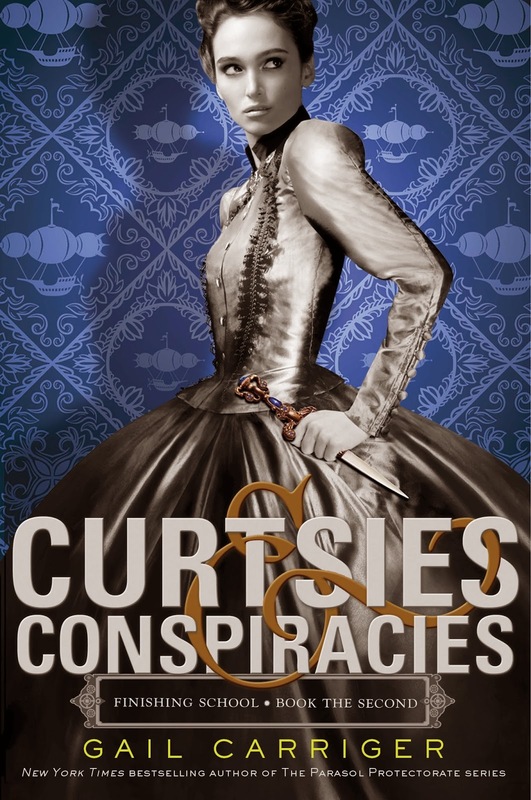 Attacked, drugged and kidnapped, Paige is transported to Oxford - a city kept secret for two hundred years, controlled by a powerful, otherworldly race. Paige is assigned to Warden, a Rephaite with mysterious motives. He is her master. Her trainer. Her natural enemy. But if Paige wants to regain her freedom she must allow herself to be nurtured in this prison where she is meant to die. Exciting! This will be my first "official" read along. I will post my two bits per week. Beware, it could be spoiler-ish. Loved the start of learning of a new world. There are handy-dandy guides to refer to. 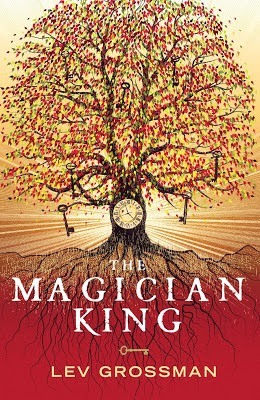 A description tree of clairvoyants and a map of the where the main action takes place are located in the front matter of the book. And, a glossary of the slang and terms used is located at the end. Rephaims are introduced which presents a big mystery - who/what are they? Under October’s luna, full and bright, the monsters are throwing a ball in the Haunted Hall. Las brujas come on their broomsticks. Los muertos rise from their coffins to join in the fun. Los esqueletos rattle their bones as they dance through the door. And the scariest creatures of all aren’t even there yet! The ghosts, the phantoms, shriek their pains. Beneath the trees where branches arch. 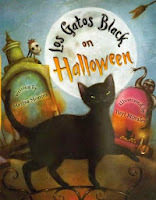 I picked this up to read to fulfill my Bookish Bingo Halloween square and was tickled. 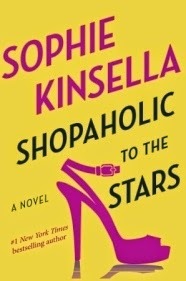 This is a gem of a book that made me hoot at the end. 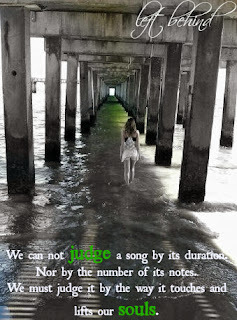 It is houses rhyming verses with dashes of spanish words to learn along the way. The illustrations are delightful and captures the spirit of the story well. 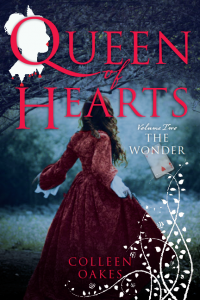 Book two in the bestselling Queen of Hearts series! Alone in the wilds of Wonderland, Dinah fights for survival. When she meets the Yurkei, natives she was always taught were the enemy, and finds out she had been lied to all along, Dinah plots to reclaim her throne with their help. 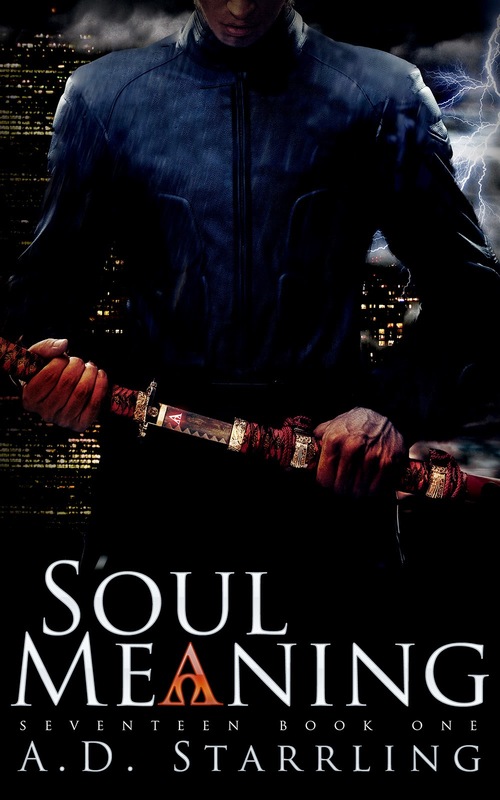 Filled with vivid imagery and thrilling action, Dinah’s transformation into a fierce warrior is stunning. 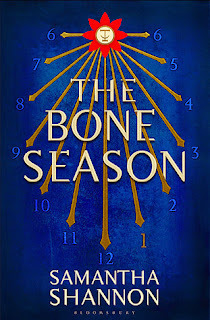 The mixed feelings I had after reading book one in this series carries over into how I feel about book two. While I really do not want to like Dinah, because of what she turns out to be (per the mad character in Alice in Wonderland), I am being swayed. It will be interesting to see which way I will go after reading the next book in the series. 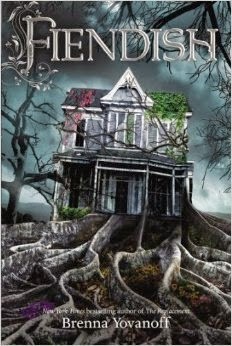 This story takes place away from the Wonderland palace and continues to show the darker side of Wonderland. Dinah meets creatures and others that live beyond the palace walls that enlighten her perspective on her world. I liked how Dinah starts to transform into a warrior of sorts. Looking forward to seeing her in combat action. Loved how we get the back story of Cheshire and how and who alliances are being formed with. She lives in North Denver with her husband and son. 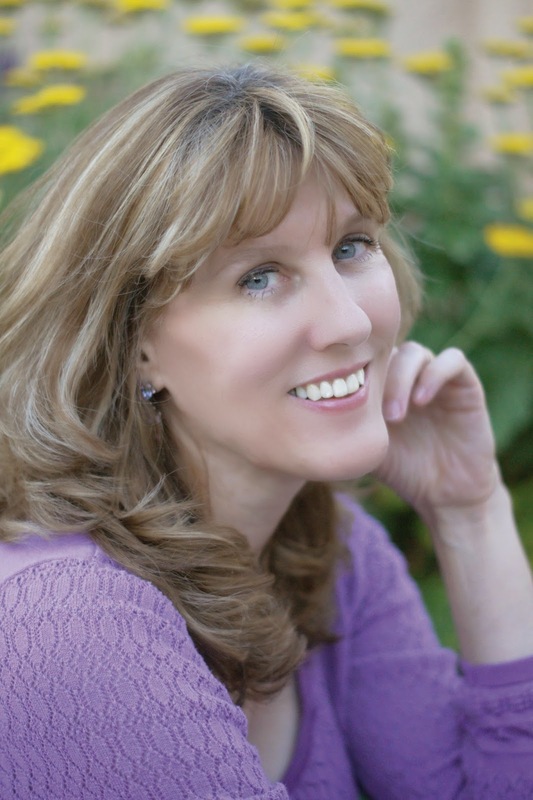 When not writing, Colleen enjoys swimming, traveling, and immersing herself in nerdy pop culture. 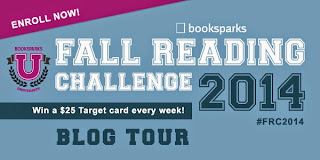 Join the BookSparks Fall Reading Challenge 2014 here. 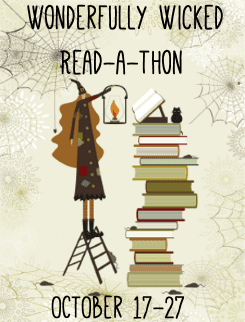 * review copy courtesy of Fall Reading Challenge 2014. It's not too late, join the reading challenge here. @booksparks #FRC2014! 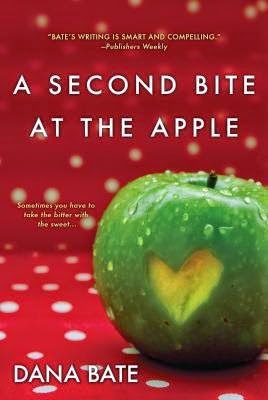 Seventeen-year-old Anastasia Lockhart has never led an easy life, but when she starts getting into serious trouble, she’s sent to live with her grandparents in Cedar Falls. The small, picturesque town hasn’t changed since she visited four years ago, with one exception – the presence of a handsome, mysterious boy named Frost. 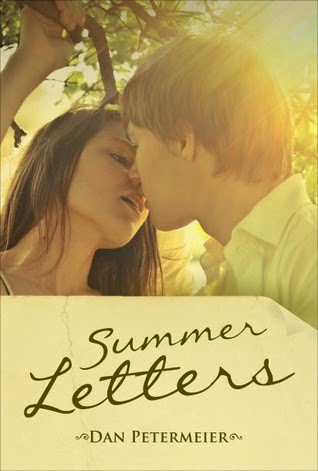 Despite warnings from her grandparents and friends to stay away from Frost, Anastasia can’t deny their attraction, and the more time they spend together, the deeper in love they fall. 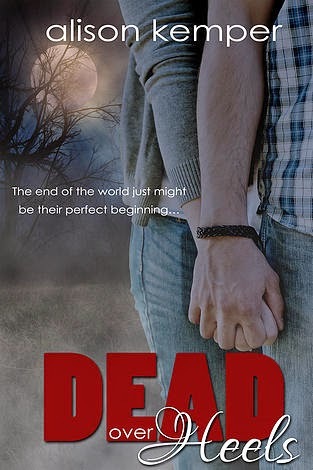 Unfortunately, Frost has a secret that is beyond Anastasia’s wildest imagination, and she soon finds herself in the midst of a supernatural legend that has haunted Cedar Falls for years. Nice gentle start to a series involving werewolves. I say gentle in reference to the not-so-gory scenes involving the werewolves. 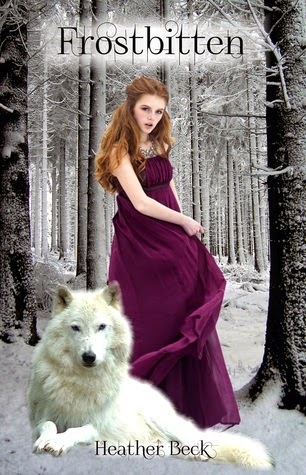 This story focuses on the budding romance between the main character, Anastasia, and Frost. As they learn about each other, so too do we learn about them. Both Anastasia and Frost have mysterious backgrounds and parentage which they both begin to learn about towards the end of the story. There is a bit of a cliffhanger ending in regards to the characters and their fate. And, not much werewolf lore was described. I'm guessing book two will reveal more. 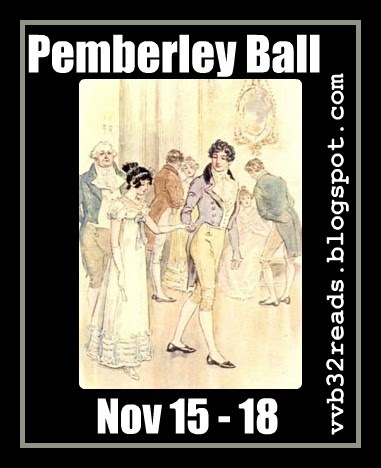 Pemberley Ball 2014 next month!